KUALA LUMPUR, April 10 — Prime Minister Tun Dr Mahathir Mohamad rejected today the assertion that it was state rulers’ prerogative to choose their mentri besar, ahead of a looming clash with the Johor palace on the matter. Instead, he said it was solely the right of the party commanding the state assembly to determine who should be the mentri besar. “This is (a) political thing. The sultan has got no role. It is for the party which won the election to determine who it is,” Dr Mahathir was quoted as saying by the Malaysiakini news portal. 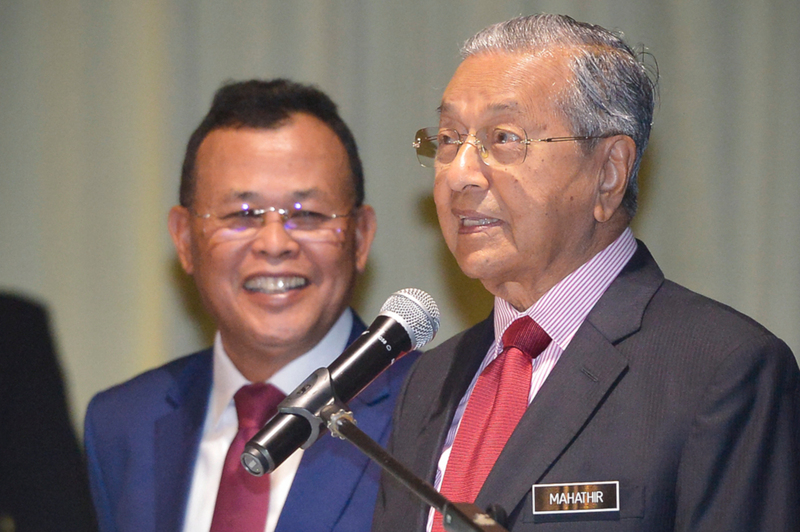 Dr Mahathir announced Datuk Osman Sapian’s resignation as Johor mentri besar yesterday, confirming previous speculation that the latter was being dropped. However, he was pre-empted by Johor Crown Prince Tunku Ismail Sultan Ibrahim who also insisted on his father, Sultan Ibrahim Almarhum Sultan Iskandar’s absolute prerogative to determine the next state mentri besar. The prime minister also said yesterday that Tunku Ismail would be investigated if he made seditious comments on the matter, prompting the Johor royal to challenge authorities to investigate him. Putrajaya and the Johor palace have appeared to be increasingly in conflict over matters within the state and the country. In tweets confirming Osman’s exit, Tunku Ismail pointedly called for the next mentri besar to be someone not subservient to the federal government but who prioritised the welfare of the state and its residents.